I am a member of the Collective Bias® Social Fabric® Community. This shop has been compensated as part of a social shopper amplification for Collective Bias and its advertiser. 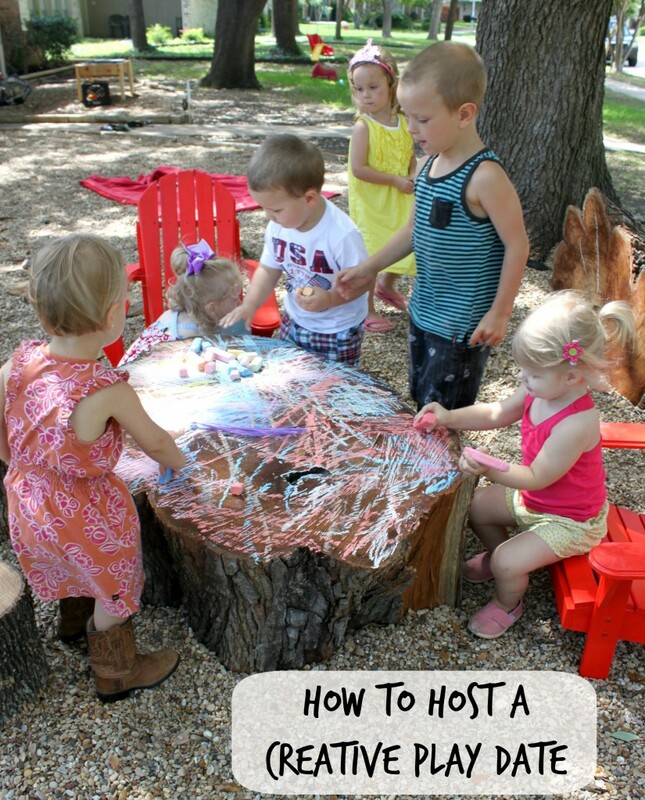 Ready to host a playdate where the kids get to explore creative activities and have a blast? 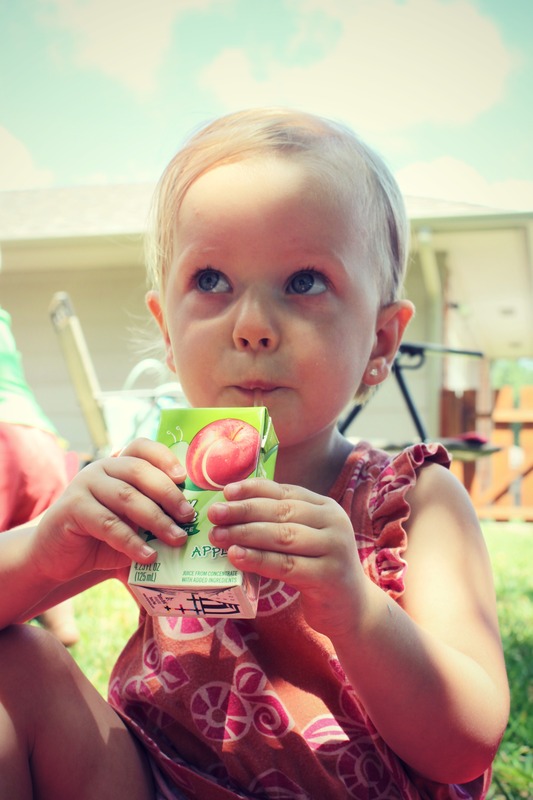 I’ve got a few easy tips and ideas to share with you so you can host the #UltimatePlaydate. I love giving kids room to create and express themselves artistically, so we hosted a group of sweet little friends and their mommies for a lovely morning of creative play. 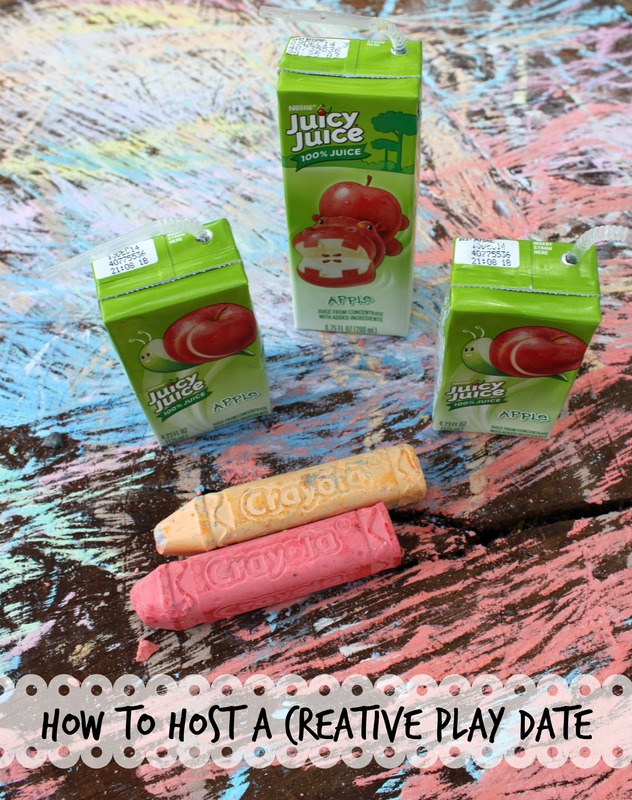 Creating your own artsy playdate is easy and so much fun. 1) Find a space to play. This can be anywhere, but I recommend a space that can be hosed off if/when it gets messy. The beauty of a creative playdate is that kids will explore new mediums and create little masterpieces. 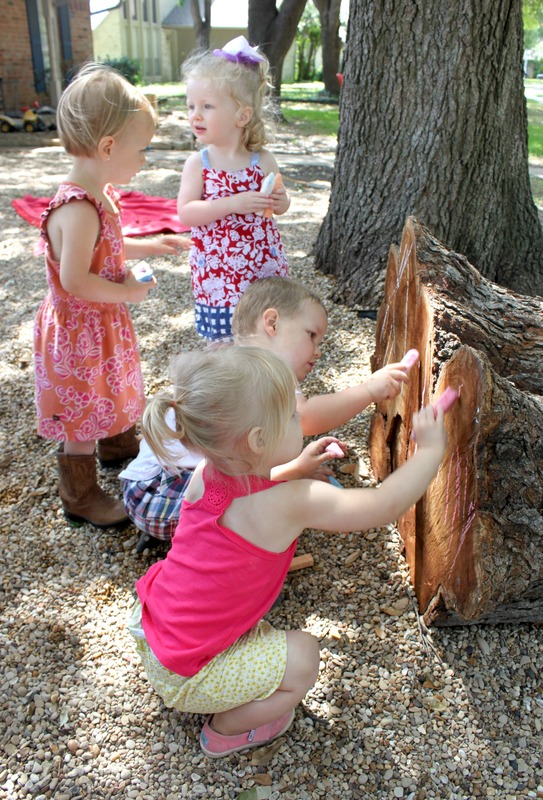 Our friends used Crayola sidewalk chalk to decorate our tree stump table and climbing log. It looked really cool and hosed off in under a minute after everyone went home. I call that a win. 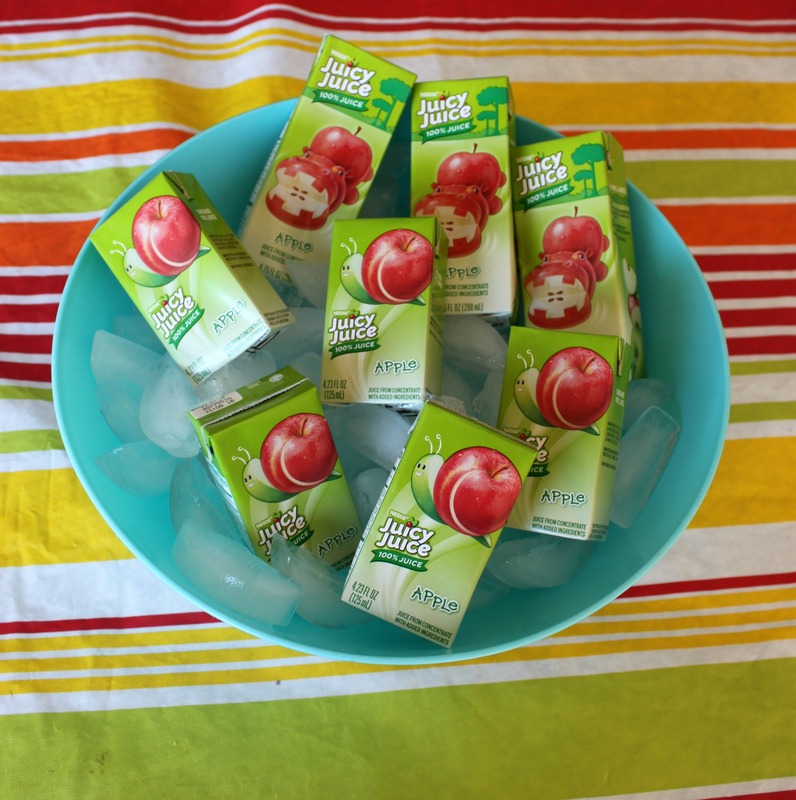 For our Ultimate Playdate supplies, I ran to Walmart to grab Juicy Juice boxes with Crayola coupons on them, so I could save on the art supplies while providing refreshments for snack time. Total bonus. All the mamas brought lunches for the kids, but I provided drinks and snacks. The art supplies we used were a big box of Crayola sidewalk chalk (so many colors! ), Color Wonder markers and coloring sheets, white rolls of art paper, and My First Crayola easy grip egg shaped crayons. We kept it simple, but still had lots of room for creativity. Head over to grab more coupons and free printable coloring pages from Crayola. 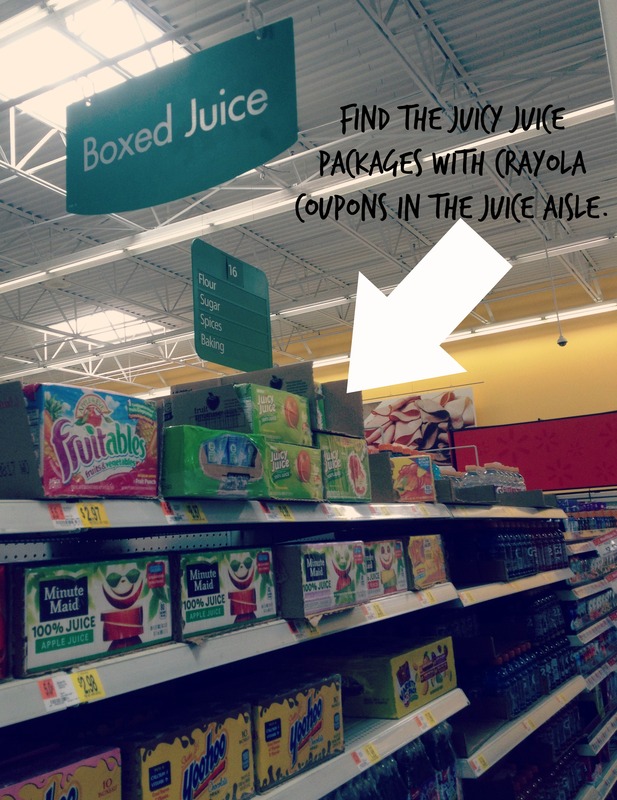 I bought both the larger slim packs and the fun size Juicy Juice boxes with Crayola coupons on the side. The moms and kids all loved them. 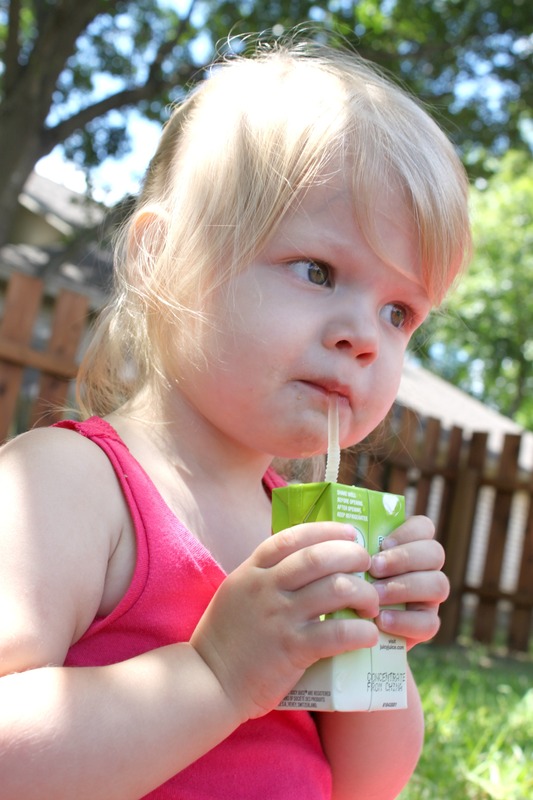 After a morning of coloring and playing, we took a break for Juicy Juice and a picnic lunch. We used our kid sized picnic table that Jed made and blankets spread out on the grass. 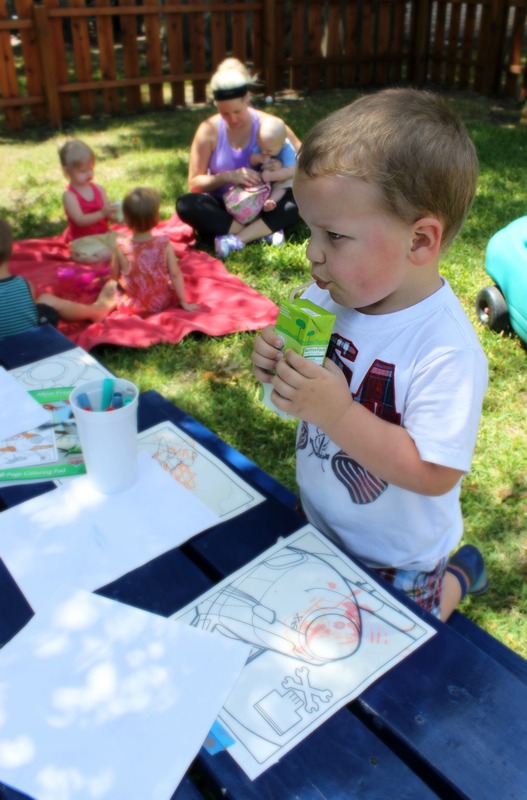 Before our friends arrived I taped down Color Wonder coloring sheets and had the special markers readily available on the picnic table. 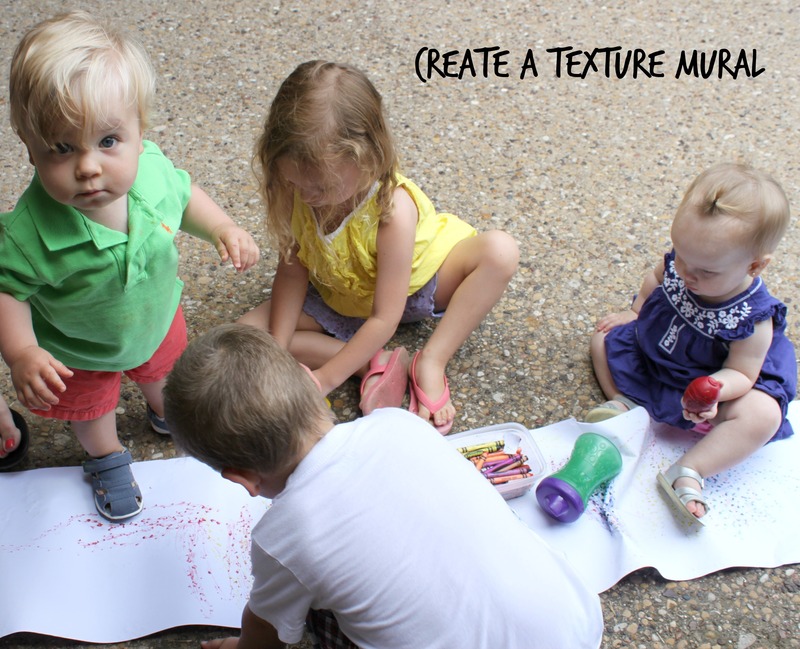 I also spread out a paper mural on our bumpy patio for the kids to create a texture mural using the easy grip egg shaped My First Crayola crayons. Even the babies loved it and it turned out really cool. We mamas loved that our little ones couldn’t eat the crayons and could actually use them. For the sidewalk chalk I just had it out in a bucket and let them go for it. Be sure to check out the #UltimatePlaydate hash tag to find lots of awesome ideas from other #CollectiveBias bloggers. 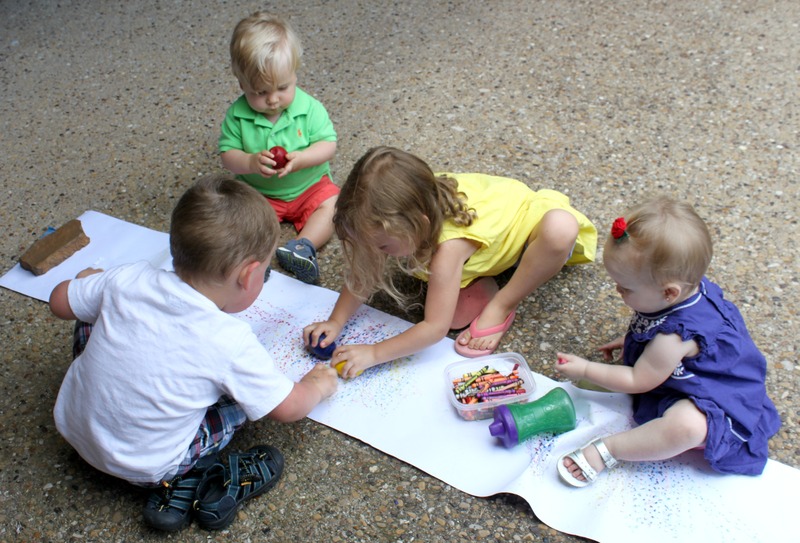 What is your best tip for a creative play date? So adorable! What a great idea! Love how you gave such clear tips for a playdate, which is much needed! We are hosting a storytime tomorrow. This a great idea! Awww looks like a wonderful playdate! And so important to keep hydrated!